How To Backup Google Apps Data? 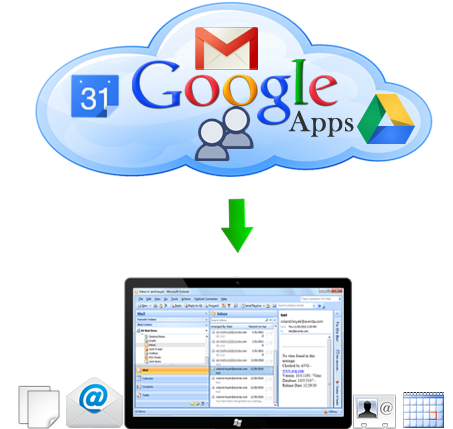 Google Apps provides various apps like Documents, Calendars, Spreadsheets, Contacts, more including Gmail mail service. The data stored in Google Apps is surely safe but their backing up gives you mental peace during tougher times. Google Apps backup of emails, contacts, and calendar data would be an extra help you are giving to yourself.The online Google Apps email service mailbox has maximum chances to get corrupt and thus lots of people look for the safety of emails at any cost. Also, when you really think that Google Apps data are confidential and official data if backed up will really provide you help. Backup if done with Google Apps Backup tool, you will sure to receive amazing results. Contacts & calendar can be backed up into vCard VCF (vCard) & ICS (iCalendar) file format simultaneously. This file can be easily opened in Outlook, Thunderbird, Mobile phone, Outlook Express, etc. Software can quickly export completely Google Apps data from cloud to local drives like (hard drive, pen drive etc). Know process to create backup of Google Apps data in freeware demonstration version. This edition shows you full processing by taking backup of first 25 items per folder. For Google Apps backup of unlimited mail, contact, calendar, document data, you can purchase for complete version of the software. This significant edition supports you to make use of the software any time in your lifetime. Because of different licenses of the software, you can purchase Google Apps backup tool in the license economical for you.